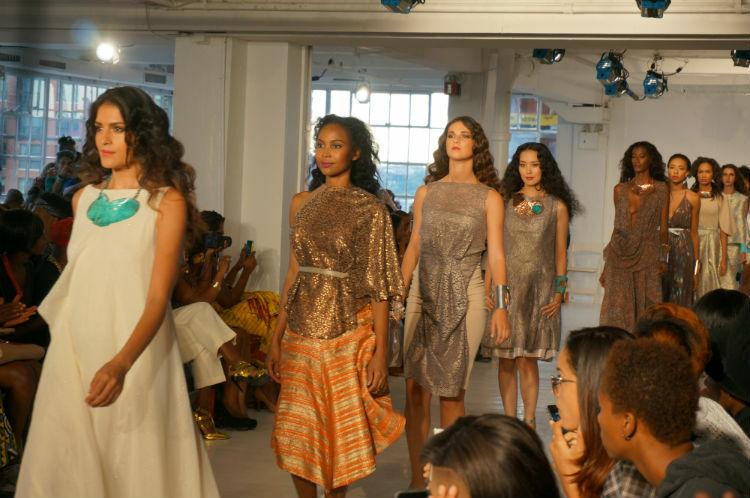 Korto Momolu and Shea Moisture partnered together during New York Fashion Week. 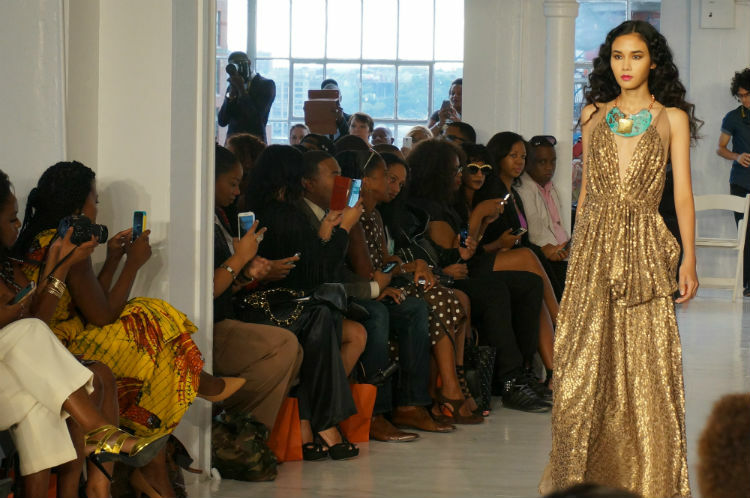 Korto Momolu was a runner up on the hit show “Project Runway”. She presented her “Rebirth” Spring/Summer 2015 collection at Studio 450. 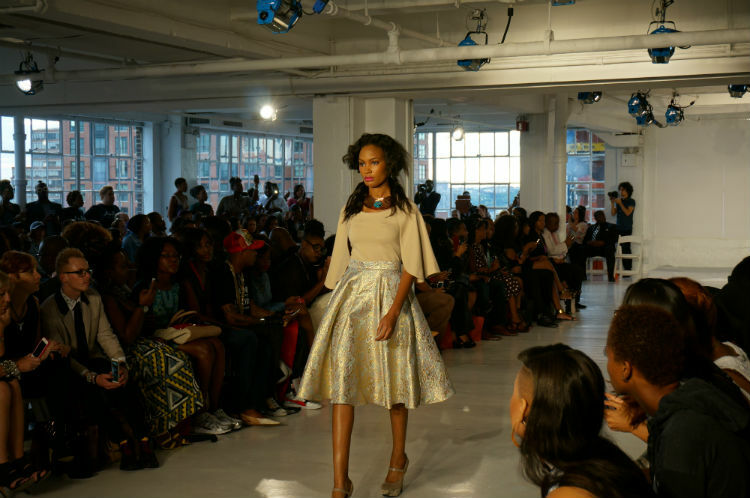 The collection contained many eye catching pieces with an array of vibrant colors, textures and shine. Shea Moisture launched their cosmetic line earlier this year. The eco friendly line is shea butter based with certified organic ingredients. The line is also paraben free, and includes an array of products: CC cream, eye shadows, mineral blushes, lipsticks and build-able sets. Backstage hair stylists focused on displaying the diverse textures of the models hair. Shea Moisture products can be used on all textures of hair. A few of the models with naturally straight hair had their hair prepped with the Coconut & Hibiscus line, including the Frizz-Free Curl Mousse and the Hold and Shine Moisture Mist. The hair was then set on large hair pins, clips and then flat ironed while pinned to create soft and bouncy waves. Models with naturally textured hair used various products from Shea Moisture’s Tahitian Noni & Monoi, Yucca & Baobab and the Coconut & Hibiscus lines. 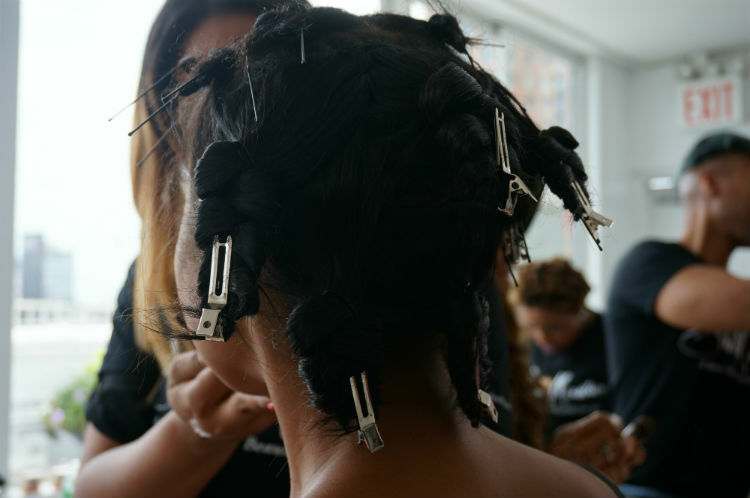 Diane C. Bailey, Shea Moisture’s Brand Ambassador prepped hair by slightly blowing drying the hair to elongate and then applied bantu knots to create loose, movable and soft curls. Models had dewy luminous skin with sculpted highlighted cheekbones, smoky eyes in various vibrant colors, thick lashes and a slightly shimmery bold lips. The look was angelic and natural. Prior the fashion show, Shea Moisture hosted a cocktail hour on the balcony overlooking midtown Manhattan. 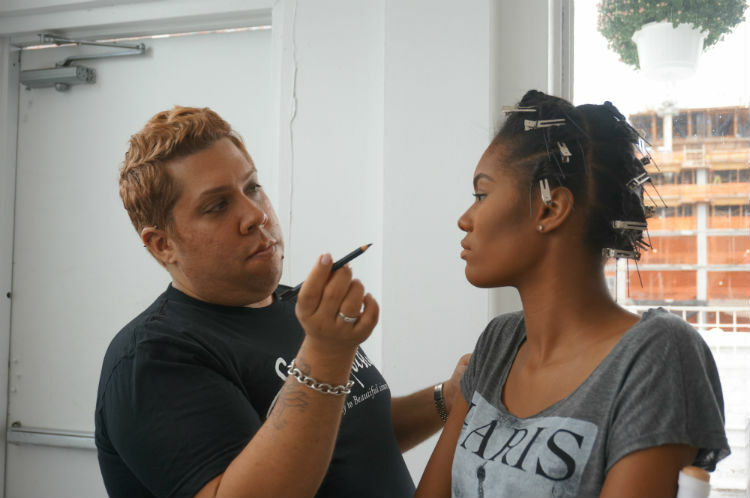 Acclaimed makeup artist Renny Vasquez gave a quick chat on the Shea Moisture products he used on create the amazing look. He layered various shades of the CC cream and concealer to create a chic contoured look that could transition from day to night. There was also another model who provided a sneak peak of Korto’s “Rebirth” collection. 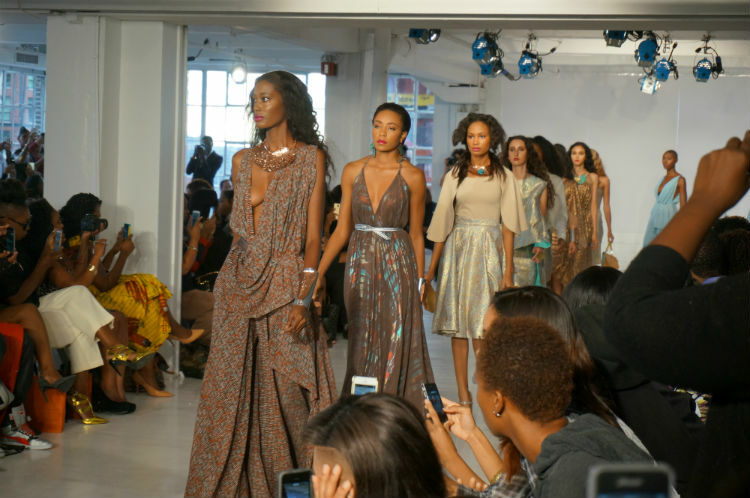 Korto Momolu’s collection contained ethereal long, flowy pieces that draped in all the right places. Bold jewelry showcased throughout the show was designed by up and coming artist Darrell Roach The jewelry is extraordinary abstract works of art. Here are a few of the looks from the fashion show.